What is your price and product code for a transfer belt for our CLX 3185FW printer? Can you send me instructions on how to fit a new transfer unit for my Samsung CLX-3185FW printer please? Hi, I have a CLX-4190 printer, what toners do I need? This page displays toner cartridges for the Samsung CLX-3185FW printer which isn't the correct model. We don't currently list a Samsung CLX-4190 printer on our website so we would advise you to recheck the model number as CLX-4190 might relate to the printer series rather than a specific model number. Once you've verified the exact model number and that your printer is a valid UK printer model you should be able to find it listed on our website using the menus provided. If you're still having difficulty finding a model which you believe is a valid UK printer not being listed on our website please contact our customer service team and we'll look into the matter further. My printer is a Samsung CLX 3185FW. The alert on the screen says the new cartridge should be CLX 3180 (series USB). Which is the correct cartridge 3185 or 3180? 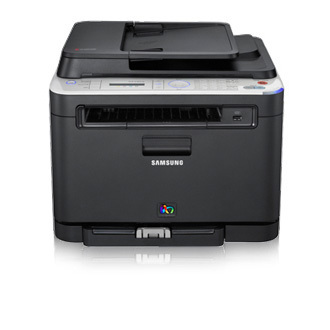 The Samsung CLX-3185FW printer uses the same black toner as the CLX-3180 printer models. The code for the black toner cartridge you need is "CLT-K4072S". When ordering cartridges we recommend that you only buy cartridges that are listed under your exact printer model so you'll need to order Samsung CLX-3185FW toner cartridges which are all listed on this page. Hi, can you tell me please when the Samsung CLT P4072C toner set will be available to purchase? Regards, Anthony. We currently have the 4 colour Samsung CLT-P4072C toner multipacks in stock so you can purchase them online or by phoning us with your order. Stock levels are subject to change but we try and replenish our stock as soon as possible. I have an empty black Samsung CLX-3185FW toner cartridge but all the colour cartridges are full. I want to print colour pages only. How do I bypass the "replace toner" screen and print without the black cartridge? It's unlikely that you'll be able to use your Samsung CLX-3185FW printer without a black cartridge installed that contains some remaining toner, even if you only want to print colour pages. Please consult your Samsung CLX-3185FW printer manual to find out more about printer settings and which cartridges you must have installed within the printer. We have an error message on our Samsung CLX3185FW saying "replace fuser unit". Please confirm the item number I need to order for my model of printer and confirm how quickly you can deliver this item please? Will the compatible 4 colour Samsung CLT-P4092C toner multipack work with the Samsung CLX 3185FW multifunction printer? What is an image drum unit and how long would it be before a replacement is required for my Samsung CLX-3185FW printer? My Samsung CLX-3185FW printer has a message saying "toner empty - stop". Which toner does this imply? Is there a toner other than the C Y M K that I see to be the coloured cartridges? Thanks, Debbie. This error is quite unusual. Your CLX-3185FW printer should be indicating which of the six consumables you need to replace. If there are any option to press 'continue' the printer may offer more information. Otherwise, if there's a facility on the printer software to check your toner levels you may be able to determine which colour needs replacing. If you're still struggling with this error message we would recommend that you contact Samsung directly for technical support. How long do these Samsung CLX-3185FW printer cartridges last? Samsung advise that each of the CLX-3185FW toner cartridges should produce approximately 1,000 pages each based on 5% page coverage. This is about 4 lines of text on each A4 page. The life span of a toner cartridge is very hard to calculate accurately as it's based purely on your usage of toner and how frequently you print. We're the best suppliers for Samsung CLX-3185FW laser toner cartridges featuring cheap rates and exceptional customer care. Low prices can be a certainty with our company night and day. When shopping with us, you'll not have to waste your time searching local stores to find the Samsung supplies you'll need. You will secure the greatest bargains today with us. Buying with us will help you to spend less and also receive outstanding service currently available. You'll be assured of comprehensive peace of mind if you place an order for brand new Samsung CLX3185FW toner with Cartridge Save courtesy of the cast-iron thirty day cash-back guarantee that is standard on everything. You should also remember that everything you buy comes with completely free delivery, which normally gets delivered at your address on the next day! Cut costs, place your order right now! The Samsung CLX-3185FW toner printer is a colour laster multi-functional printer capable of copying, colour or black and white printing, scanning and faxing. This impressive all-in-one machine boasts copy and print speeds of up to 16 pages per minute in A4 black and up to 4 pages per minute in A4 colour. Scan capabilities start out at 1,200 x 1,200 dpi and can be enhanced to 4,800 x 4,800 dpi. Fax modem speeds top out around 300 x 300 dpi with 2MB of memory. The Samsung CLX-3185FW toner cartridges yield around 1,000 standard pages per use. With a compact frame measuring right at 41 cm wide, 34 cm tall, and 38 cm deep, the Samsung CLX-3185FW toner printer is small enough to sit comfortably on most desktops. Noise levels stay below 52 dBA on all settings and reduce further to 45 dBA on colour prints making it perfect for front office use. Portability options include Hi-Speed USB 2.0, Ethernet 10/100 Base-TX, and an IEEE 802.11 b/g/n wireless networking. The Samsung CLX-3185FW will work on most Windows, Mac, and Linux operating systems. The Samsung CLX-3185FW comes standard with wireless networking and easy to use installation software making your office setup fast and convenient. The speed of the Samsung CLX-3185FW's various features are impressive compared to similar models. The controls, featuring a two line LCD display along with a click wheel are simplistic to navigate. The unit already comes with 256MB of storage space. Shelf prices of the CLX-3185FW can also run a bit higher than similar brands made by other manufacturers. When using heavy weight paper, or overloading the feeder, the autofeeder function of the Samsung CLX-3185FW may jam easily.